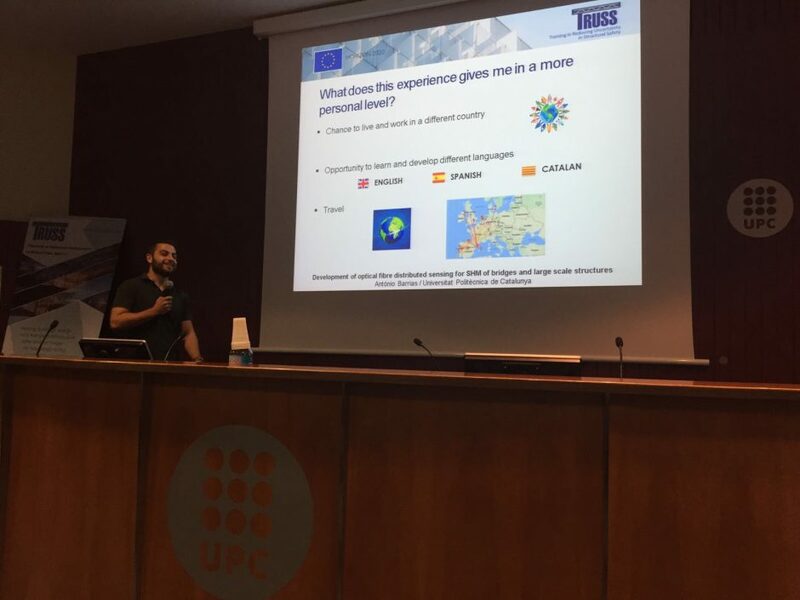 The open day at the doctoral school in UPC is an activity mainly attended by masters students where Antonio Barrias (ESR11) and JJ Moughty (ESR10) talked about their PhD program experience. 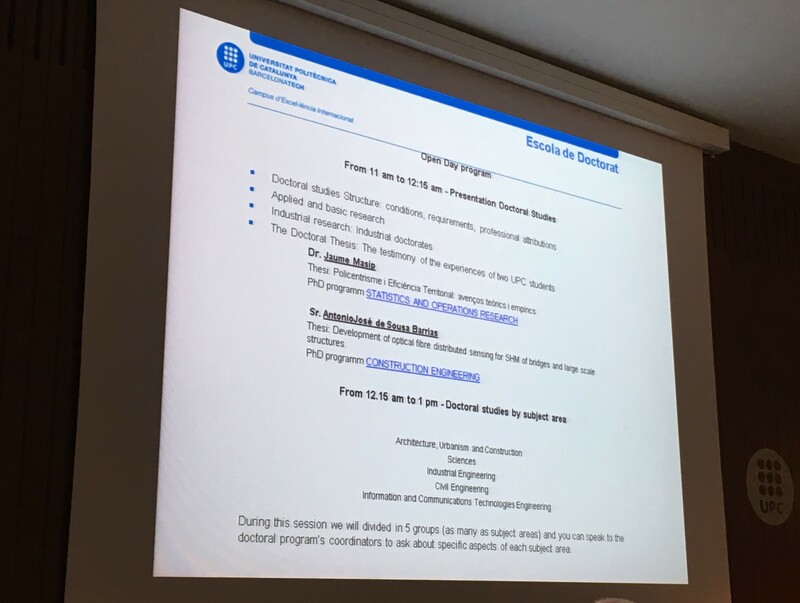 The aim is to clarify the pros and cons of a PhD, and entice possible students who would like to follow this path after the conclusion of their masters programs. 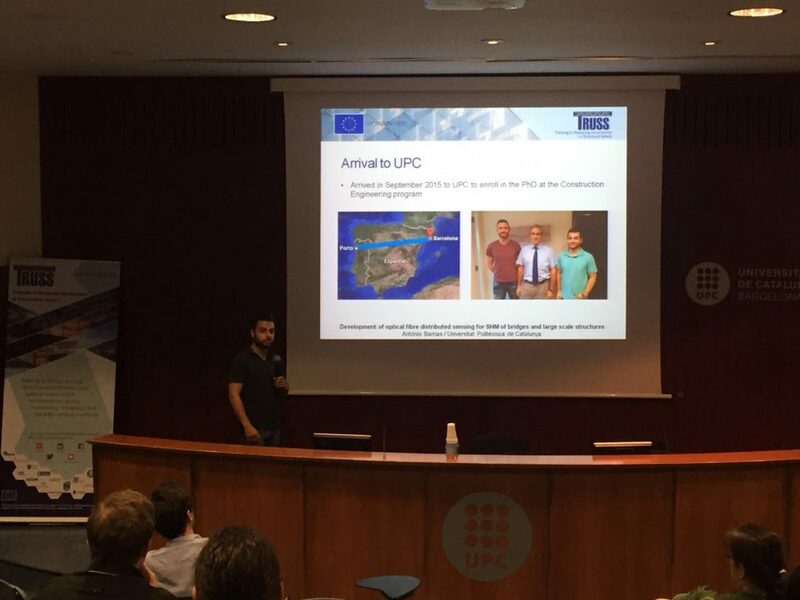 The talks took place on the 8th of June between 11 and 13 am at the Sala d’Actes of Vertex building of UPC. The program of the event is laid down in the picture below. 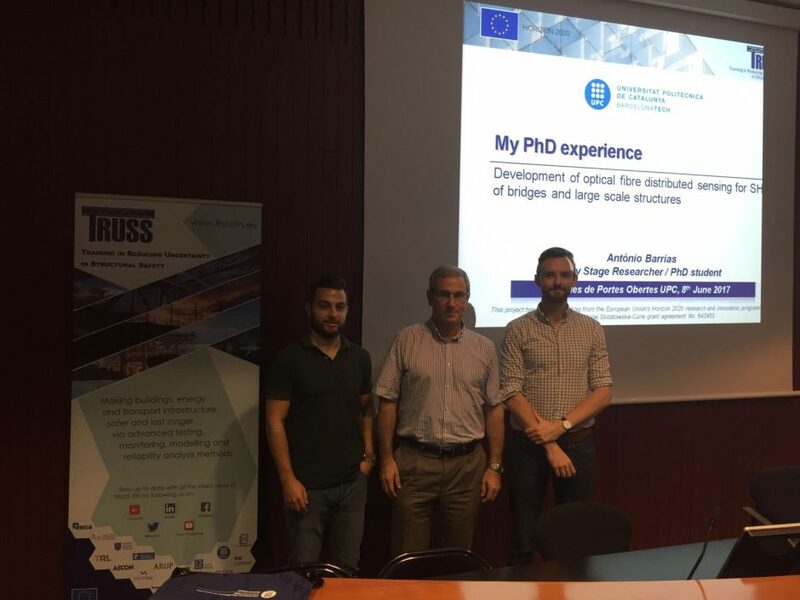 In the first hour, there were different presentations including Antonio’s presentation and another from another PhD student from the architecture department where they talked about their PhD experience. 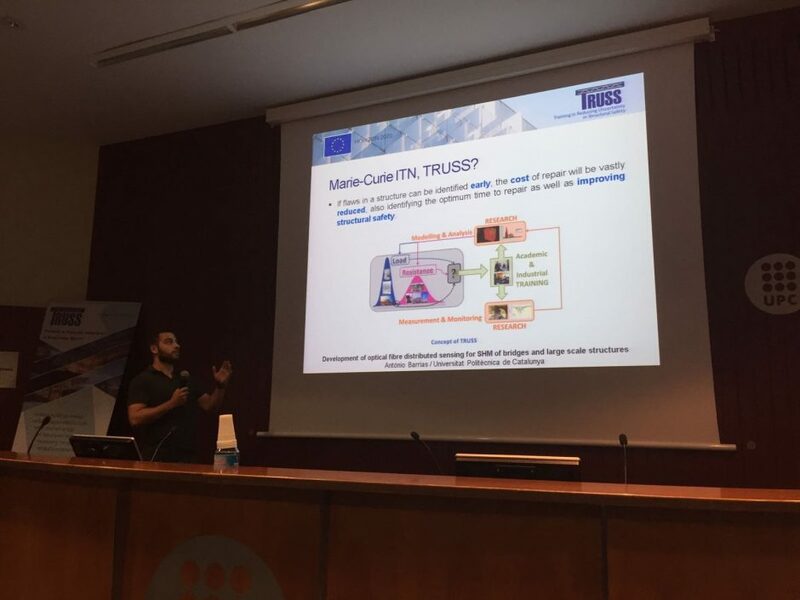 In the second hour, both Antonio and JJ answered questions from students in the Civil Engineering field who had some questions regarding TRUSS ITN PhD programs. There were at least 40 to 50 persons attending this event.